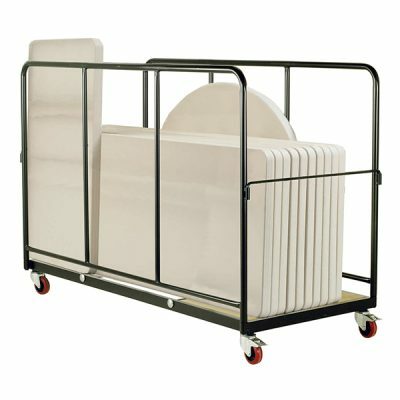 All of our material handling equipment is designed to transport products from one place to another with ease and comfort for the user. 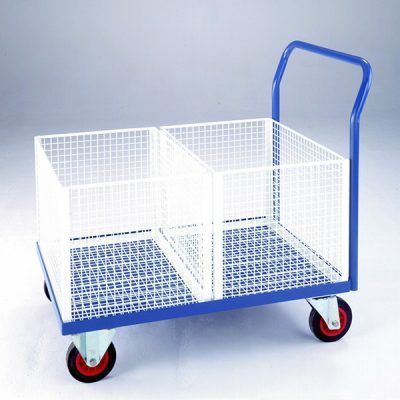 High-quality basket trolleys for all commercial settings, such as offices and libraries, to transport and distribute. 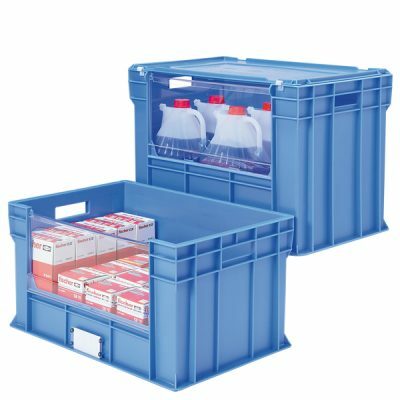 The huge range of items includes small boxes and mail, with a weight capacity of up to 250kg. 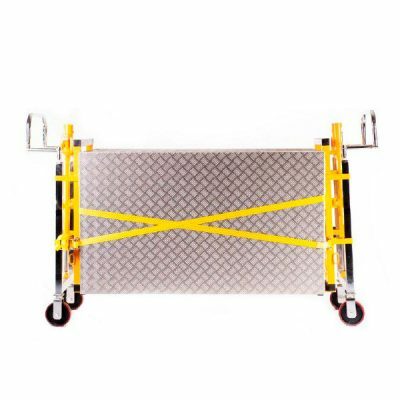 We also have a stair climbing trolley, that allows mail and parcels to be moved where there are no lifts and a safer solution is required. 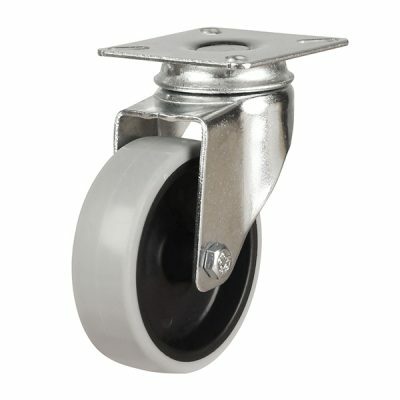 We have a variety of shifters, trolleys and trucks specifically designed for moving stacked chairs in a large quantity, reducing the need for manual handling. 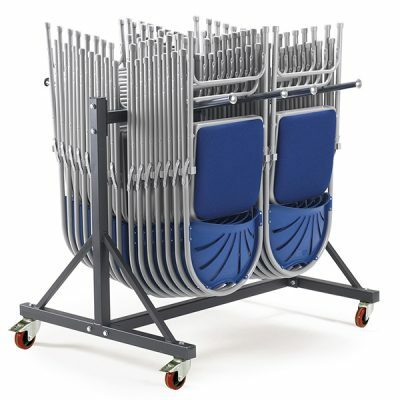 Ideal for schools, offices and event venues. Our wall racks, floor stands and cages ensure that gas cylinders are stored safely and to the latest health & safety standards. Drums often contain hazardous materials. 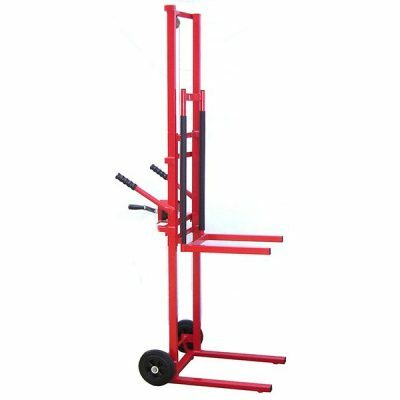 Lift, move, stand, tilt and turn your drums safely and with ease with our robust drum handling equipment. 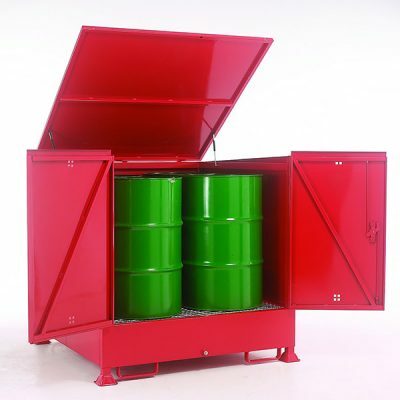 A variety of drum sumps and pallets that safely store drums containing hazardous materials, reducing the risk of damage and spillages from hazardous materials, such as chemicals or oil. 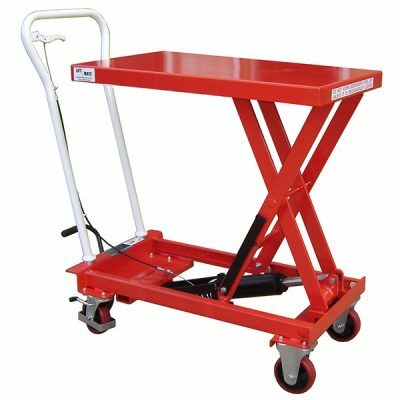 Using a scissor mechanism, our scissor lift tables raise or lower large and heavy loads and vary from medium to heavy duty, manual and electrical lift tables which vary in lift height, are easy to operate and have weight capacities up to 1000 kg. 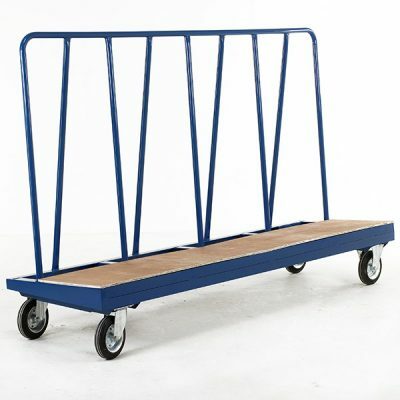 Fully welded, steel constructed horizontal and vertical racks and trucks for sheets, boards, bars, and tubes. 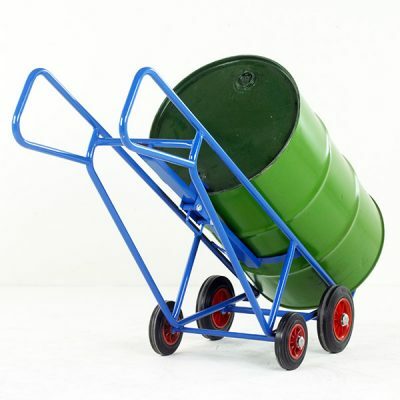 We have a variety of waste handling containers that safely and neatly stores waste. 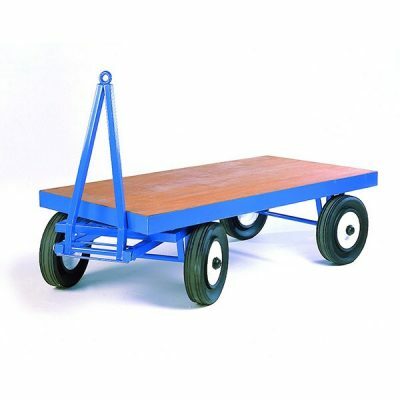 With different platform sizes and weight capacities, our trailers use turntable technology for easy operation. 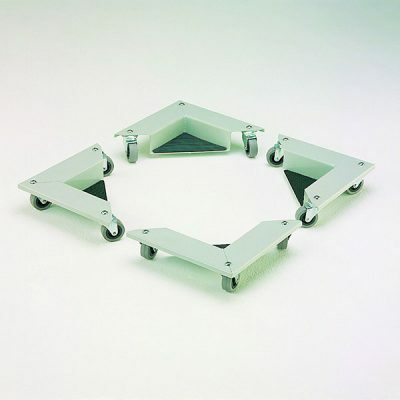 Step and Store are a reputable and leading supplier of handling and lifting equipment in the UK. and understand that being productive in the workspace and managing goods on an industrial scale is a challenging process. That’s why having the right equipment is crucial to providing a safe workspace. 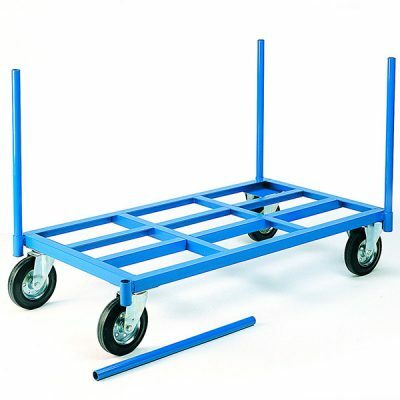 Handling and lifting equipment such as Sack Trucks, Pallet Trucks and Trolleys help to reduce the risk of injury whilst complying to Health and Safety Executive regulations. 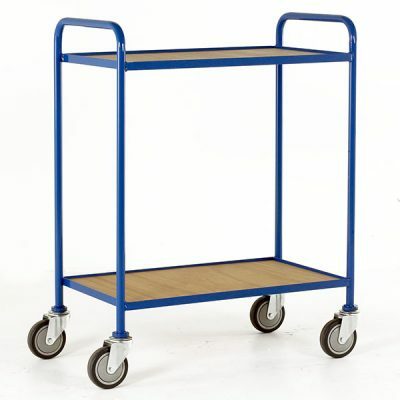 At Step and Store, we understand that one size does not fit all, and offer a bespoke design service where we manufacture drum handling, furniture movers, lifters, plastic container systems and much more from our extensive online catalogue to your specification requirements. We are committed to providing our customers with products that are made to the highest quality, with fast despatch at competitive prices. 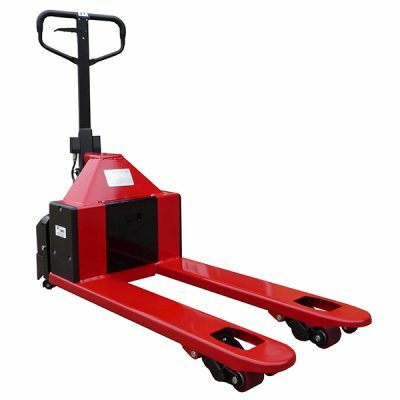 With a comprehensive range of sack trucks, platform trucks, scissor lifts, pallet trucks and forklift attachments, our products can cater to all your handling and equipment needs. 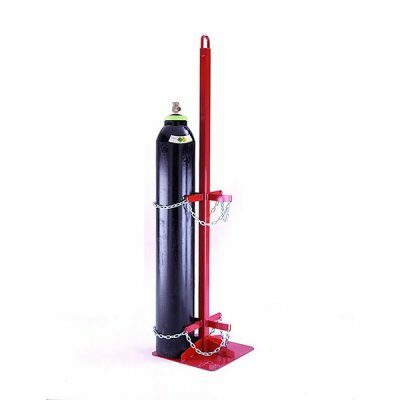 Our range of handling and lifting equipment is suitable, safe and efficient for transporting goods around all environments including industrial, warehouse, storeroom, retail or general purpose. 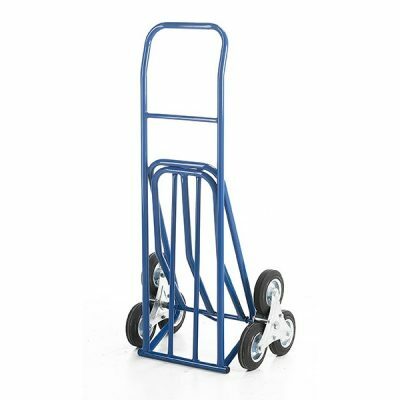 Light duties equipment such as sack trucks, stair climbers and trailers are ideal for goods that weigh less than 150kg. 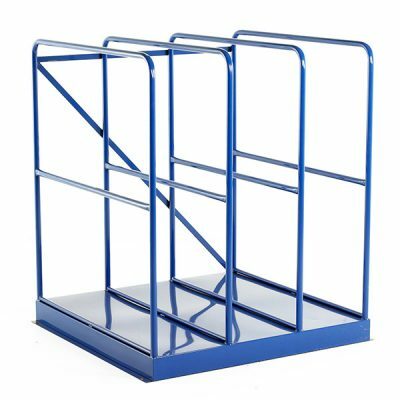 They are robustly constructed, made from the highest quality of aluminium and are easily stored away with the latest fold up mechanism. Which is ideal for smaller areas with a lack of storage capacity. 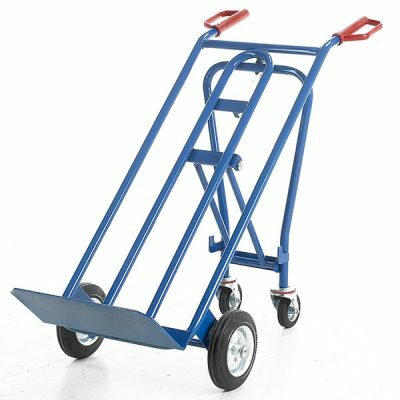 For heavier duty tasks, our range of lifters, plate trucks and pallet trucks are more suited to transporting heavy, bulky items such as doors, poles, glass and plastic. 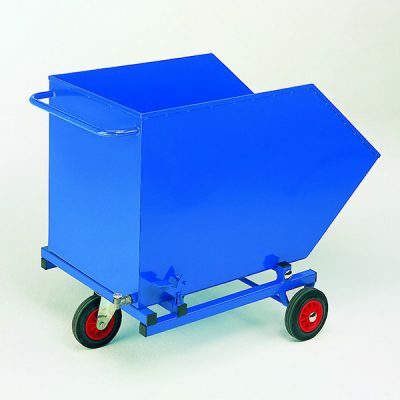 The comprehensive range of skips, trailers, stair climbers and mobile scissor lifts are excellent space savers, whilst being safe and can cater to all your handling and equipment needs. At Step and Store, all our products are rigorously tested with a British manufacturer guarantee. We follow the strict guidelines laid out by the Health and Safety Executive on all our catalogue and bespoke products. As time progresses, health and safety standards change to meet the demands of working in a safe space. It is compulsory by law that workers are given the correct handling and lifting equipment in order to carry out daily tasks without injury or risk. Here at Step and Store, our experts provide advice and assistance on updating and upgrading equipment to ensure you meet the regulatory requirements and comply to the latest regulations, whilst making the right choice for your business. If you can’t find what you’re looking for or need some advice call 0844 576 8722 or fill in the contact form and a friendly member of our team will be more than happy to walk you through.